Kawasaki Heavy Industries (KHI) has ordered a custom-built 1000-ton Synchro-Form press brake from LVD Co., with the press brake equipped with special tooling to produce large panels for commercial-aircraft fuselages. Forming such large parts to a desired contour is challenging, which KHI believes will be simplified significantly via Synchro-Form. 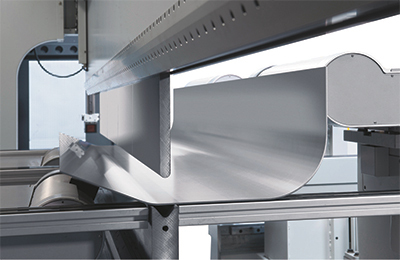 The press brake reportedly maintains angular consistency and required geometric profiles, and enables in-process automatic quality control when handling and positioning large parts, and performing multiple bends. KHI in Japan is a key partner in production of the Boeing 777X, the successor to Boeing’s 777 aircraft. The 777X is slated to become the largest and most efficient twin-engine jet in the world, according to Boeing officials. The Synchro-Form press brake meets tight tolerance requirements demanded on this application as well as the need for complete automation, according to LVD Co. officials.